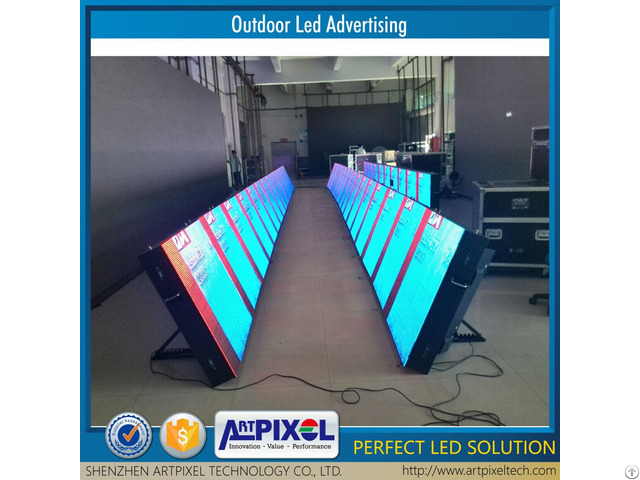 We, artpixel technology Co., Ltd.is a professional Led display manufacture in Shenzhen, China. We have specilised in this filed for more than 8 years. we have our own R&D department, sales department, service department that can definitely meet all your requirements. Our company has passed CCC, FCC, CE, UL, RoSH etc professional certificates. All our products are widely sode to South America, Eastern Europe,East Asia,South Asia,Northern Europe,Mid East,Western Europe etc. And most of our products are used for advertising, showing video,graphic, text.